Hassan Bousetta is doctor in Social Sciences from the Katholieke Universiteit Brussel (Belgium). He is currently a FNRS (National Fund for Scientific) Research Associate at the University of Liège (Belgium). He joined the CEDEM at the university of Liège in February 2003. He was previously at the Katholieke Universiteit Leuven and is a former Marie Curie Visiting Fellow at the Centre for the Study of Ethnicity and Citizenship in the Department of Sociology of the University of Bristol (UK). 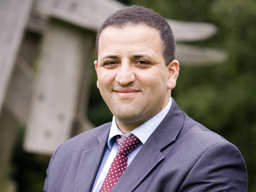 Hassan BOUSETTA holds an MA in Political Science and Public Administration and an MA in the Sociology of Developing Countries, both from the University of Liège (Belgium). Between 1994 and 1997, he was a visiting fellow at the European Research Centre on Migration and Ethnic Relations at the University of Utrecht (Netherlands) and held a Human Capital and Mobility Fellowship from the European Commission. From January 1997 till September 2000, he was involved in the Institue for Political Sociology and Methodology of the Katholieke Universiteit of Brussel where he completed his PhD on the political mobilisation of Moroccans in European cities. His work focuses on the political participation of immigrant minorities and on local multicultural policies. Hassan Bousetta has also collaborated to a number of consultancy projects both for private foundations (King Baudouin Foundation), international organisation (Council of Europe), cities (Paris, Antwerp, Bristol) and networks of cities (Eurocities).